These days having a generator is not a luxury, but a necessity to protect your family! We help locate placement of the generator as per your town's codes, and also where to will look best with your outdoor landscape and fuel source. Through proper installation, your generator will automatically start when there is a power failure as if nothing ever happened! With our complimentary on-site generator survey we assess the comfort level you need during a power outage and identify the items you wish to backup. Images will automatically transition - Use the arrows to transition manually. Mouse over image to pause. Call, email, or fill in our contact form - so we can answer all your questions or set up a complimentary on-site visit! - we respond immediately! We will come to your home (complimentary as always) and will give you a written estimate so you know EXACTLY how much it will cost so there will be no Surprises - for either of us. We will spend the time to help you understand all the options and costs and make sure you are comfortable with your purchase. We institute best of breed communications with our customers by responding immediately to emails, calls and texts! 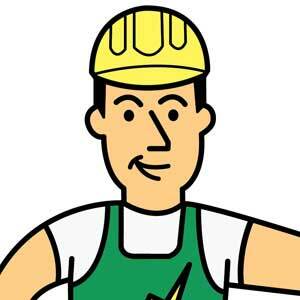 When was the last time an electrical contractor got back to you quickly (or at all! )?-- it's just our way of life! -- TRY US! 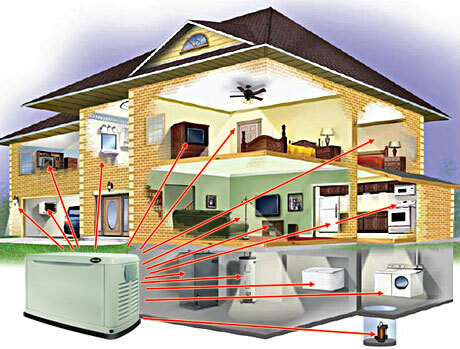 We Specialize in Sales, Service and Installation of Residential and Commercial Generator Systems! 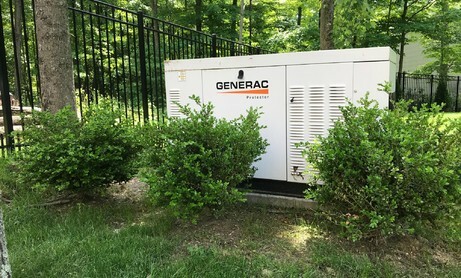 ALL WE DO is the design and installation of quality Generac backup generator systems to meet your exact budget and needs. We have installed countless units in just The past five years since we started, and due to our reputation, service, and a few minor storms :), we and are now busier than ever! When we come to your home and do our site survey, we leave nothing to chance. We will handle every aspect of your installation and break down the estimate by task so everything will be clearly spelled out! For example, if you choose to have a concrete pad we will do it! - We will secure all the necessary permits, coordinate the Gas line installation if one is required and handle the entire job so all you need to do is sit back and relax, knowing "The Gen Guys" are on the case! Check out our best-selling TURN-KEY PACKAGES HERE! ...and Always The Best Prices! We provide the best and most competitive prices for our Generator Installations. Our customers can rest assured that when they buy and install a Generator from us, it will be as low as they can find anywhere and we will professionally install the unit with no surprises as we have been doing this a long time and we leave nothing to chance! Check out our HOW MUCH WILL IT COST. Once we have completed the installation and you thoroughly understand the use and operation of your unit, we will be there for you going forward. Whether before or after the sale, we are available 24/7 on email, text and cell and respond to you immediately - whether setting up an annual maintenance plan, or a simple question, we are there for you to insure when you need your Generator most, it will be there - standing by to protect you! 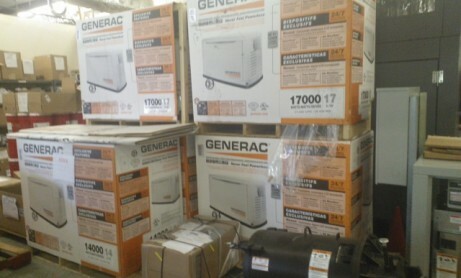 We are also a Generac Service dealer and as such can handle any warranty work that may be necessary! 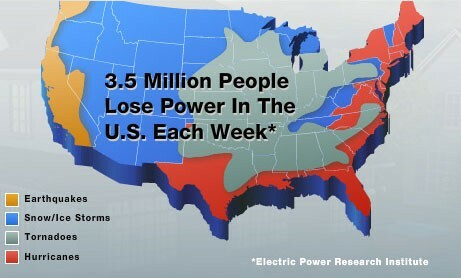 Did You Know that 3.5 Million People Lose Power in the U.S. Every Week*...We won't let you be one of them! Call us to see how affordable peace of mind and family safety can be and the various options to meet your budget and needs! If you have ever experienced a power outage for even a few days, you will agree the cost of back-up power is worth EVERY PENNY! We certainly do and have built our company and reputation on making sure our customers are safe and happy during a power outage. CHECK OUT OUR BEST SELLING TURN-KEY PACKAGES! We are a proud Dealer and Screened and Approved by Home Advisor! The Generator Guys are fantastic!! I received 3 quotes when buying my whole house generator. The Generator Guys were the most knowledgeable, and most professional. I bought from them with complete confidence that the job would be done right. I've had the generator installed now for 6 months, it's worked flawlessly, and the recommendations they made saved me time, money, and helped me avoid potential problems. Use these guys, you will be very happy you did! fantastic in every phase of project !!!! The last week proved that getting an automatic generator was a great investment. Of course I was out of town when the storm hit and it was nice to know that my family was taken care of. My spouse didn’t have to do anything, then generator just came on a ran great for 5 days. My family could just live their life thanks to the Generator Guys and my Generac. Glad we did not wait any longer! After this last storm we finally decided Enough was enough! We were out of power for 12 days, a nightmare for us all. We called the generator guys, as i think a lot of people did, as we had to wait for the generator! BUT, when it finally came and was installed, we were very happy! Thank you Generator Guys. Did not think we could afford it..
We were putting off the purchase for a couple of years now, as we did not think we could afford a whole house system. After meeting with Kevin and having a site survey, he told us we could get by with the 7kw unit so we had water, heat and a few appliances. This was perfect as the cost was 1/2 of what we expected and it was still a standby unit, not needing any attention upon a power outage. We were very please, and wished we had called The Generator Guys sooner. Thanks Guys! We called Adam, had a site survey, he told us the size we needed, he then emailed us an estimate, we paid for it, had it delivered and installed about 5 weeks later, and all was done - Don't know what else to say, but the experience was nice and smooth and went as expected. My folks are getting older now, and it really makes me concerned about their safety as i live in another state. I call The Generator guys and had them meet my father for a site-survey. My dad was very please with their attention to detail and the fact that Adam asked if he should remove his shoes (as my parent's house is like a museum!) In any case, the price was great and the delivery was a lot quicker than even they thought. It all went smoothly and I feel a lot better knowing that the basics will be backed up during our next storm. Thank again for everything. 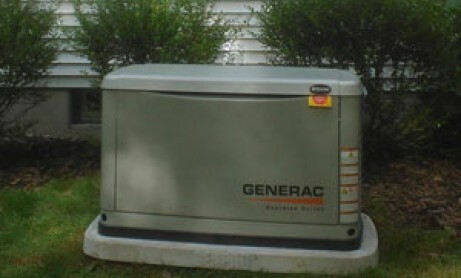 We bought our Generac on the internet, before we met the Generator guys. They were friendly and had no problem installing our unit. 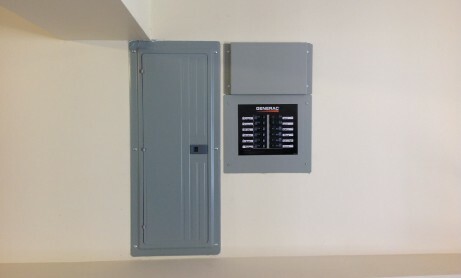 The installed was a bit challenging as our electrical panel had no additional room for breakers, but rather than install a new box, they replaces some breakers with newer thinner ones, saving us a lot of time and money. I appreciated their consideration and concern for my wallet! Everything else was great. I would highly recommend them which is why i agreed to write this review. We opted to go with a whole house system as we wanted to have almost everything backed up in case of a long power outage (as we just experienced!). We were expecting to need a 27kw system, but Kevin showed us how a 20KW system with load shedding could do the same thing at a significant savings - i had no idea what this was, but he explained it all to me and showed me how the unit would switch appliances on in a certain order, so it never go overloaded. This was cool and saved us a lot of money! Thanks for being patient (really) and dealing with 1000 questions! We waited way too long for a backup unit, but after the 2nd recent Noreaster, we were done! We called around and got a few estimates, but the Generator Guys price was great, especially considering the service and availability. They were ready to go, but we got delayed a bit due to the permitting process for the gas and then finally we were done - JUST IN TIME, as the 3rd Noreaster had our entire street out of power for almost 4 days! From the beginning, our experience with The Generator Guys was positive. Raj was very knowledgeable, clear and detailed with the equipment needed and quotation. Adam and Kevin were on time and very professional and neat when they did the installation. When finished, they went through the equipment in detail. We are very happy with our Generac and The Generator Guys. Adam, Raj and Kevin were a pleasure to deal with. Very professional installation, courteous and responsive service. Would highly recommend the Generator Guys. Generator Guys are the best! One terrific company. I would absolutely recommend them - no questions asked. Raj, Adam & Kevin are very professional and knowledgeable. The Generator Guys had the best pricing. Their service has been excellent. They always respond quickly. Raj and his team are excellent. They did a really nice job on the install. Quote was transparent and they worked well with Town Inspector and Gas Co coordinating install. The follow up maintenance and email communications has been strong and we are into our 2nd full year without issue. I would highly recommend them. Was A pleasure working with them!Was A pleasure working with them! We got 3 quotes from other highly rated dealers as well - not only was the quote from The Generator Guys the most detailed, with every aspect of the installation being priced, but the overall price was lower than the other two quote. From speaking with them on the phone, to texting them to emailing, it was a fluid real-time situation, and the final installation done by Adam and Kevin was so good, the town's inspector even made a comment. Yes, we highly recommend them, and am glad we used the guys! 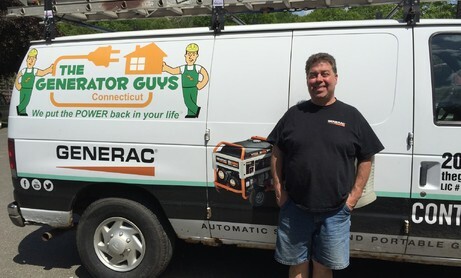 Responsiveness 5 / 55 / 5 Expertise 5 / 55 / 5 Friendliness 5 / 55 / 5 Professionalism 5 / 55 / 5 I called the generator guys as they were recommended to me by a friend and i needed a generator installed for my parents in Madision CT (I live in NYC). From the beginning, everything was seamless. They actually use TEXT and email in real time and I immediately got a call back from Raj after leaving a message. Adam came to the house the next day (My parents live in Madison) and I had an estimate the following day. It was one of three I had received and although it was not the lowest, it was close, but the installation was a much better quality as they put everything in conduits and use high quality wire (not service wire) -- I did not know this but when i compared apples to apples, they were actually lower, for a better job. We went ahead and ordered the unit, which came in about 2 weeks, and then we had to deal with the dreaded town of Madison! Kevin made multiple trips to get the permits for the unit, while Raj coordinated the gas installation. Overall, it took about 5 weeks to get the unit installed, and the job was superb, but most importantly, I did not have to raise a finger - aside from writing a check! My parents were extremely pleased with everything and they even followed up with calls to make sure everything was done to satisfaction. I could not have been happier Thank you! They came when they said they would and did the job for what they said they would. The install was a pretty big job. Nothing I could possibly ever do on my own. I was very happy with them and feel if I ever have a problem, they will be there, which was the main reason I used a full service company, instead of doing the Home Depot route. We had a whole house generator installed. Very professional guys who know their business. Installation went smoothly as planned. Very helpful. We had a whole house generator installed. Very professional owners who know their business. Installation (Adam and Ken) went smoothly as planned. Very helpful and courteous. Raj, Adam, and Kevin did a great job, and were very responsive. Adam came out and did the initial site survey, and to my pleasant surprise, he didn't t try to oversell me on a unit bigger than I needed. So, I received an estimate and we were off and running. I had a bit of a problem initially, since there seemed to be no propane dealers in my area who would rent tanks for generator use only. Well, Raj did the research, made the calls, and found a propane dealer who would rent tanks to me for the generator. Raj sent some of his guys to dig the trench for the propane pipe and electrical conduit. Adam and Kevin installed the unit beautifully. They handled the permits, were there for the inspection, and took their time teaching me how to use it. 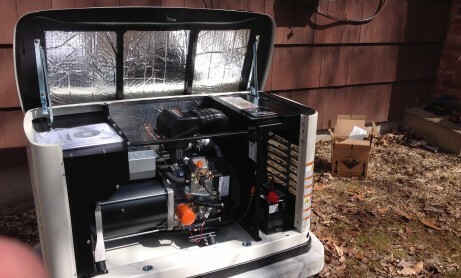 I would highly recommend The Generator Guys LLC to install your unit! Very professional, nice and a great job! Adam came to my house and walked the property and house with me. He made great suggestions as to where the generator should go to minimize both the electrical length and gas length so as to save money. I got the estimate the next day and we were off! It took a bit longer than we thought for the whole installation as our town required a zoning permit, which took an additional 2 weeks, but once were done, the job Adam and Kevin did was beautiful and there were no issues with the inspection. They even followed up with a call a week later to make sure all was good. I am very happy with them, and already recommended them to a friend. it is important to have both a reliable machine, as well as an installation and service team that you can trust to be there to ensure that the machine will keep running smoothly over the years. The team is also very good at keeping the client updated and informed. I recommend the team at the Generator Guys without reservation. The Generator Guys worked exceptionally hard to make sure every aspect of our installation went well. The site survey, discussing installation options, performing the installation, teaching us how to use the unit, and then resolving any issue - no matter how small. Highly recommend them. Turnkey operation. They took care of everything. We highly recommend these guys. We finally had it and called The Generator guys. Raj and Adam were a pleasure to deal with and the price was excellent with the service we received! I highly recommend them! We did not get our unit installed by the guys, but they take great care of our machine, coming out twice a year for $325 - The best part is that they are always available, by email text or cell - it's great to be able to reach someone right away! Raj, Adam and Kevin: My sincere thanks to you for the great service, efforts and, of course, patience shown in this project. The work was as promised, professional, neat, clean and done with both care and concern for the customer. In addition, the extra effort made and taken are well appreciated and noticed. I am sure that you have multiple customers who serve as references and I am most willing to do the same. Further, there is no better comedy act that Adam and Kevin at the job site. Seriously, great people to work with and have at your residence. Raj, you are the calm in the storm. The Generator Guys have been great to deal with. From installation to routine maintenance to service, they are always responsive and professional. I highly recommend using this company for your generator needs. It started with a call to Generac on a Saturday and Adam came to my house the first thing on Sunday morning. He took lots of time to explain to me how everything will work, from ordering, installing and maintaining. I was very impressed. When I had questions I would email or text Raj and there was always a very quick response. I had absolutely no issues at all and I would highly recommend “The Generator Guys” to anyone considering having a generator to backup electrical loss. In closing I would just want to send thanks to Adam and Raj. I know I have an annual maintenance coming soon and I look forward to dealing with both Raj and Adam. One last thing to the Generator Guys! If you ever need a referral for potential customers, you know I will tell them exactly how it is! I doubt you will need referral once you talk to them in person. Special thanks to “The Generator Guys” from me! Thanks Again. Raj Let me tell you how thankful we are that we contracted with you and your guys to install our generator! They are the nicest, most polite and professional fellows. You completed the job in the time frame given and we really appreciate that. The Generator Guys are true professionals and a pleasure to work with. The process was incredibly easy and efficient. Adam, Raj and the entire team have the requisite knowledge, skill and experience to provide generator selection and installation from start to end without issue. 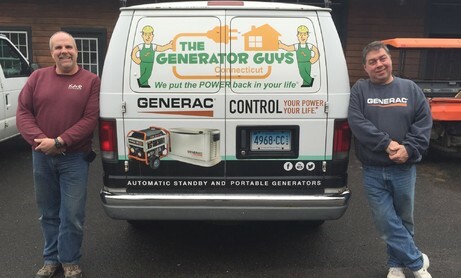 The Generator Guys are customer service oriented and sensitive. They provided honest advice, did not oversell and performed as and when promised. Questions and concerns were addressed immediately and with the focus of providing an efficient and cost effective solution to any problem encountered. The Generator Guys earned and deserve my top rating. Couldn’t be happier with their service. We shopped around before we got a generator installed in our house. They provided us with a competitive quote. It was a smooth process from start to finish. Raj handled the ordering of the generator and the coordination of installation. We were promptly informed when the generator was received. Adam and Kevin installed it within a day. They even recommended a reliable and economical company to install the gas tanks. Their service is excellent. We would recommend them to anyone who is hoping to install a generator. No issues whatsoever with the product or installation so far. It’s been almost an year since installation. It is with the greatest of pleasure that I recommend the Generator Guys, who are the absolute best in every way. When I bought my house in Ct. last year, I encountered four Nor'Easters in a row and one power outage without a generator. The Generator Guys came to my rescue and were extremely helpful, pleasant, and available throughout the process. They showed a great deal of patience and answered all of my many questions, which were ongoing until completion and even after. I'm looking forward to a safer and more secure future this Winter thanks to Raj., Adam, and Kevin. I recommend them highly. This company is high quality. They are communicative and promptly respond to texts, email, and phone calls. The owners are extremely knowledgeable about generators, how they physically work with the house/building, and what the most economical and efficient plan is for each home. Generator Guys will give you peace of mind during an emergency. 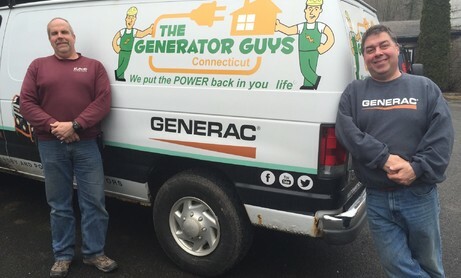 The Generator Guys were not only competitive, they were patient, informative, and very responsive to all of my queries. They helped coordinate with the gas company, town inspectors and the contractor that I hired to bury the tank. I had researched other options, but I am very happy that I chose the Generator Guys, and would recommend them highly. The Generator Guys installed our generator 2+ years ago and both the installation and maintenance of this generator have been seamless. It is one of the best decisions we have made for our family. They not only service our generator but they installed and maintain a generator at my elderly aunt's house in Southbury as well. Excellent service and follow up. Couldn't be happier! These guys are the best. I have no other providers for my home of any discipline that are as client focused as they are. They provide a great product and surround it with great service and excellent communication. These guys are amazing and trustworthy and that says a lot. I highly recommend them!!!! Always a great experience from providing an estimate to great customer service, no one does it better. After losing power for a few days during the spring storms we had a slight issue with the unit, Adam spent a few days monitoring it to determine the problem, he would even drop by if he was in the area to check on the status. We are very pleased with the Guys! Very friendly, knowledgeable, and helpful guys! They willingly helped my husband with generator questions/problems after the tornado this year. Because of that experience, we had them perform routine service maintenance/cleaning of our generator - they did an awesome job! In the Spring of 2017 we contacted the Generator Guys using their website at night to price having a whole house standby propane fueled generator installed. Adam contacted me the following day and we met with him later that day. He told us the options that would meet our needs and the next day we received a detailed estimate. 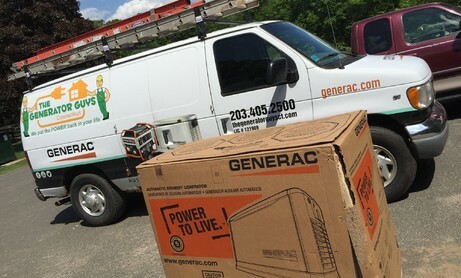 Once the Generator Guys received the Generator from Generac they contacted us and arranged a day to install it, a Transfer switch, wire hook ups and main panel wire modifications. Adam and Kevin were professional as well as leaving the house and property in excellent shape. They also handled the communications with the propane company for the installation of an inground 500 gallon propane tank and it’s hook up to the Generator and our propane grill. 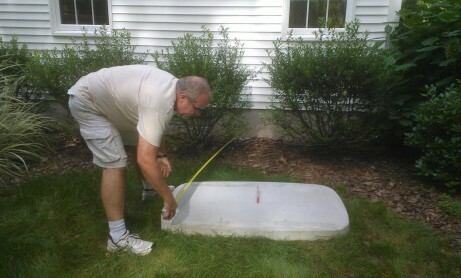 The Town of Southbury approved the installed system. This spring (2018) Adam performed the Generator service ( no issues and changed the oil). The Generator worked flawlessly during the 72 hours we were without Eversource power as a result of the May 15, 2018 Southbury Tornado. To Sum up the above: We are 100% pleased with their work, the products they sold, Adam, Kevin, Raj and their services. David and Sheryl Lipman. The guys got it done and made it happen, in spite of a delay from Generac with generators. Adam and Kevin were great with the installation and Raj kept us in the loop all the way. This last storm was the icing on the cake, when the unit worked in real time for over 8 hours! THANK YOU GUYS! Proudly Providing Connecticut Home Generator Systems in New Canaan, Darien, Madison, Greenwich, Cheshire, Southington, Litchfield, Torrington, Danbury, Bethel, Wilton, Suffield, Norwalk, Windsor, Bloomfield, Simsbury, Canton, Collinsville, New Hartford, Barkhamsted, Avon, Cornwall, Goshen, West Hartford, Farmington, Burlington, Harwington, Morris, East Granby, Windsor Locks, Granby, Hartland, Winchester, Colebrook, Norfolk, Kent, Sharon, Warren, Salisbury, Cannan, North Cannan, Fairfield, Washington, Oxford, Seymour, Woodbury, Middlebury, Plymouth, Beacon Falls, Wolcott, Ansonia, Derby, Bethany, Woodbridge, New Milford, Bridgewater, Brookfield, Redding, Shelton, Trumbull, Monroe, Stamford, Westport, Newtown, Southbury, Thomaston, Weston, Roxbury, Ridgefield, Easton, and Middletown.